The ketogenic diet or keto diet was originally developed and promoted as a nutrition management system or more specifically, as a diet therapy for managing and treating epilepsy. Its goal centers on inducing a metabolic state called ketosis in which the body uses fat instead of carbohydrates for energy. Today, this diet has achieved mainstream status, particularly among individuals who want to lose weight without depriving themselves of food. Several studies have confirmed some of the health benefits of ketogenic diet, as well as its effectiveness in weight loss management. However, because this diet involves the consumption of high-fat, moderate-protein, and low-carbohydrate meals, there are dangers or risks involved. Remember that keto diet was devised to manage refractory or difficult-to-control epilepsy in children. While its anticonvulsant mechanism remains unclear, several studies suggest that ketosis suppresses the excessive and rapid firings of neurons during seizures. Other studies have also explored the benefits of ketogenic diet in the brain and neurological functions. To be specific, some of these studies hypothesize that ketosis has positive effects in protecting neurons and thus, may be used to prevent and control neurodegenerative disorders such as Parkinson’s disease and Alzheimer’s disease. Because of the neurological benefits of keto diet, other studies have proposed possible use in managing autism and other psychological disorders such as anxiety and depression. Note that the mechanisms behind these positive health effects remain unknown although research suggests that a state of ketosis or more particularly, the use of ketones provide a more efficient fuel for the brain while also reducing the negative neurological effects of carbohydrates. Because ketogenic diet promotes the use of fat or more specifically, ketones as an energy source, another health benefit of ketosis centers on metabolic conditioning and prevention or management of metabolic disorders. In diabetes, for example, some studies revealed that individuals who underwent a strict keto diet for a certain period showed greater improvement in glycemic control. For high sugar levels or actual case of diabetes mellitus, studies revealed that individuals subjected to this diet showed a reduction or elimination of medication. Ketogenic diet has also been prescribed as a first-line of therapy for children with congenital metabolic diseases such as pyruvate dehydrogenase disease or PDCD and glucose transporter 1 deficiency syndrome or De Vivo disease. Arguably, one of the advantages of ketogenic diet and thus, one of the benefits of ketosis center on weight management. Keto diet improves fat loss. For individuals with weight issues or those with certain fitness goals, inducing a state of ketosis can help in improving body composition and reducing body fat percentage. Research showed that a high-fat, moderate-protein, and low-carbohydrate diet is more effective in losing weight than any other diet plans or nutritional management systems. With regard to keto diet, some studies collectively suggest that ketosis stimulates biological activities that require expending a large amount of calories. Other studies suggest that ketogenic diet and ketosis suppress due to the composition of keto-related meals, the stimulation of hormones that control appetite, and the direct appetite-suppressing effects of ketone bodies. 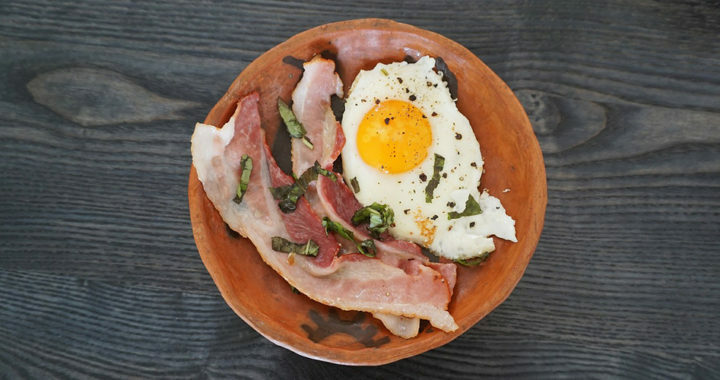 Another notable benefit of ketogenic diet in weight loss management is reduced hunger pangs. Note that this diet imitates fasting or food deprivation. However, instead of starving the body of calories, this diet merely deprives the body of carbohydrates and accustomed it to using fat or ketones. Hence, ketogenic diet makes the body efficient in using fat and stored fat as an energy source. Despite some of the suggested health benefits of ketogenic diet, inducing a state of ketosis is not ideal for some types of diseases. To be specific, research showed that ketogenic diet contraindicates the treatment of diseases such as pyruvate carboxylase deficiency, porphyria, and fat metabolism disorders. aA special note should be given to disorders involving the metabolism of fat. Note that individuals with fat metabolism disorders are unable to metabolize fatty acids properly. Because a ketogenic diet promotes fat consumption and reduces carbohydrates consumption, the inability to process fat would compel the body to use stored protein as a source of energy. Hence, one of the health risks of ketogenic diet and ketosis for individuals with fat metabolism disorders is ketoacidosis or a metabolic state characterized by high concentration of ketones in the body. This condition can lead to coma and death. Short-term but manageable health risks associated with ketogenic diet include constipation due to a possible low intake of fiber-rich food and higher intake of meat-based food products, low-grade acidosis, and hypoglycemia or low blood sugar due to reduced carbohydrate intake. Ketogenic diet and ketosis have other more serious health implications. For example, long-term adherence to this diet may lead to the development of kidney stones due to acidosis. Essentially, acidosis demineralizes the bone and floods the kidney with demineralized calcium. The same effect of acidosis can also lead to loss of bone mass and thus, higher susceptibility to bone fractures. Vulnerability to cardiovascular diseases such as high blood pressure and atherosclerosis is another negative health effect of ketogenic diet. Remember that this diet promotes the consumption of foods that are high in fat. Some easily available food products that are high in fat are specifically high in saturated fat or bad cholesterol. Examples of these foods include butter, lard, and bacon, among others. The non-health-related disadvantages of ketogenic diet center on maintenance or adherence. Note that this diet has highly restrictive nutritional guidelines, including a generally suggested intake of four grams of fat for every one gram of protein or carbohydrates. These guidelines can be very difficult for individuals who are not equipped to measure their macro-nutritional intake. In addition, some may be consuming too much fat and too much protein at the same time. Others might be getting their fat from unhealthy sources, especially those food products that are high in bad cholesterol. This is the reason why it is always better to consult first with a physician or dietician before undergoing this diet plan. Some of the food products that are high in good fats are also relatively expensive. Examples include avocados, fatty fish such as salmon, dark chocolates, extra virgin olive oil, full-fat yogurt, chia seeds, and nuts. In other words, a budget plan should also be included in meal planning under a ketogenic diet. It is also worth mentioning that strict adherence might be difficult, especially maintaining ketosis, due to possible unavailability of ideal food products, particularly in restaurants and social functions.